1. I am sure that these are not what I was imagining when I searched for black heeled pumps at Zappos. 2. I am sure that my husband is amazing since he brought me Chick-fil-A at church tonight before my choir practice. He's amazing anyway, but when a man delivers Chick-fil-A, gives you a kiss and then leaves, that is ministry, my friends. Benadryl probably saved her life. Poor punkin is covered head to toe in bites.... so scary. 4. I am sure that our God is merciful and loving and protects His children. Praise God for having His hand on our sweet little Grace. And yes, the card sang "Part of Your World". 6. 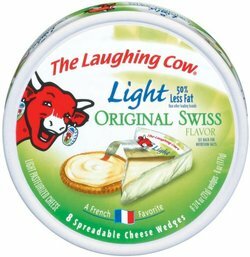 I am sure that I am slightly addicted to The Laughing Cow Light Creamy Swiss Cheese. They are in perfect little snack-sized wedges and they taste oh-so-good. They sure did make that cow look like it's laughing. I mean what is she so tickled at? It's cheese. It's not funny. It's one of the major food groups. 7. I am sure that I panicked when I saw this while shopping with my girlfriends this weekend. 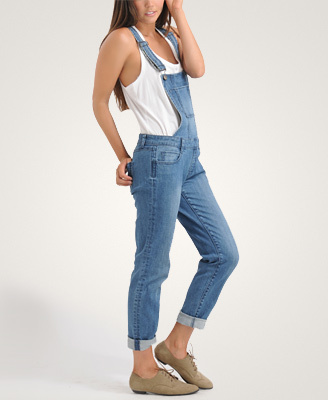 WHO SAID THAT THE BODY SUIT COULD COME BACK?! Ohhhh mercy. 8. I am sure, nay... I am CERTAIN that the body suit can NOT come back. 9. I am sure that we also saw overalls hanging on a rack this weekend in a trendy teen store and I'm not sure so that I'm ready for those to come back either. I don't really know how I feel about those shoes she is wearing either. 10. I am sure that you wasted your time reading this. Again, you are hilarous! thank you for keeping me, a complete stranger so well entertained. You don't like those black heals? Are you sure? I think they're adorable and so you. Ha! You are funny. Ha I am laughing at the idea that #1 was suppose to be a black heeled pump - huh? and the body suit - that just makes me hurt!!! Poor little Grace - I am so glad she is ok - praise GOD! Connor had an allergic reaction on Thursday to antibiotics and had to be rushed to the DR b/c his throat was closing even after the benadryl! 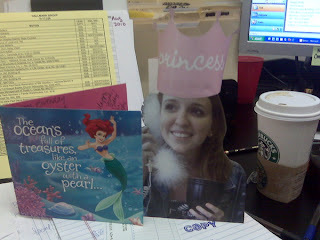 and I am sure I love ya and miss you sweet Jen!!!! Chris brought me CFA in the midst of potty training craziness! It was perfection!